Every month we will profile one of our producer members to tell the story of how and why they farm. We want to see stronger connections formed between producers and consumers. In a time when so many family farms are being consumed by larger operations it is inspiring to see the re-birth of generations old farms. This is the case of Ferme Fiola Farm, the homestead and operation of Joey Fiola and Christel Lanthier. The Franco-Manitoba Ferme Fiola farm started in 1922 when Joey's great grandparents started the farm in Ste. Genevieve Manitoba, about 40m east of Winnipeg. 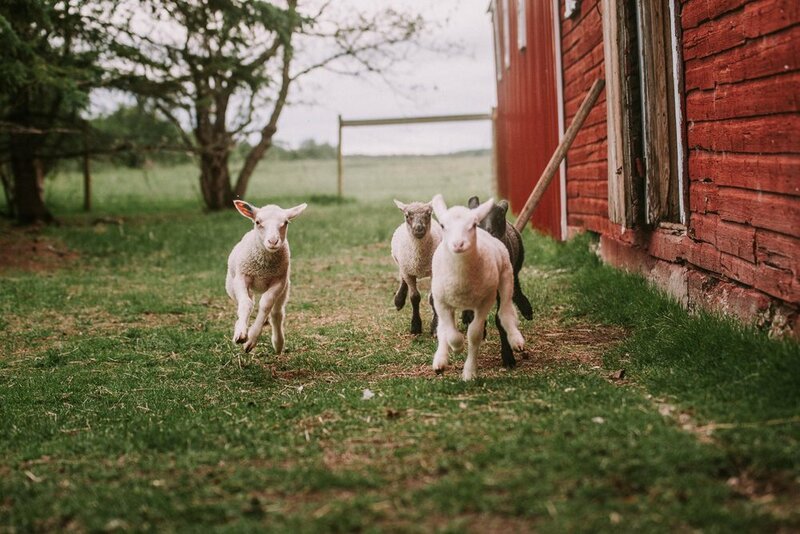 They raised sheep and cattle on the original farmstead. Eventually Joey's grandfather shifted to raising only cattle and then farming and in 2012 Joey and Christel purchased the farm to grow hay. While Joey grew up on the family farm and had been driving tractors since he was 6 years old, Christel moved from a rural community to the city when she was five years old. She was always determined to go back to the country and farm. Inspired by an article she read about the Strekker Merino sheep farm she pursued raising sheep and growing her own wool. Combined with her studies in textile dyeing and weaving at the Alberta College of Art and Design it all led her towards a future in textile production. After purchasing the family farm, starting their family and continuing to farm hay, they were looking for a more organic solution to fertilizing the hay fields. In 2016 this led Joey and Christel into raising sheep and pursuing more holistic methods for farm and livestock management. In the fall of 2016 they purchased their first 5 ewes, Rideau Arcott Cross sheep. Their farm quickly grew and they now have over 25 breeding ewes and they pasture more than 50 during the summer. They breed their ewes for quality wool and meat, and market both these things direct to consumers. They have also expanded their livestock farming and raise chickens and llamas. They farm 120 acres of forages and they grow spray-free grains and oats. 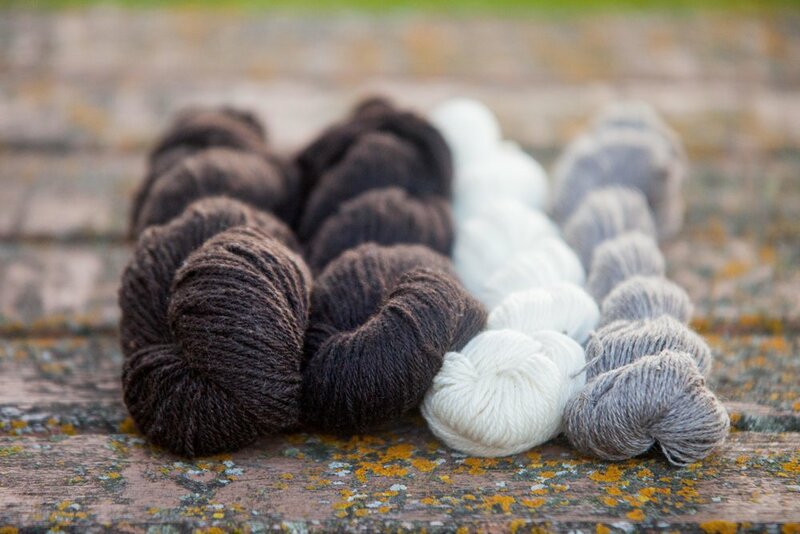 They have their beautiful wool processed every year into yarn and roving, utilizing the beautiful natural shades of their sheep, white, brown, black and grey. 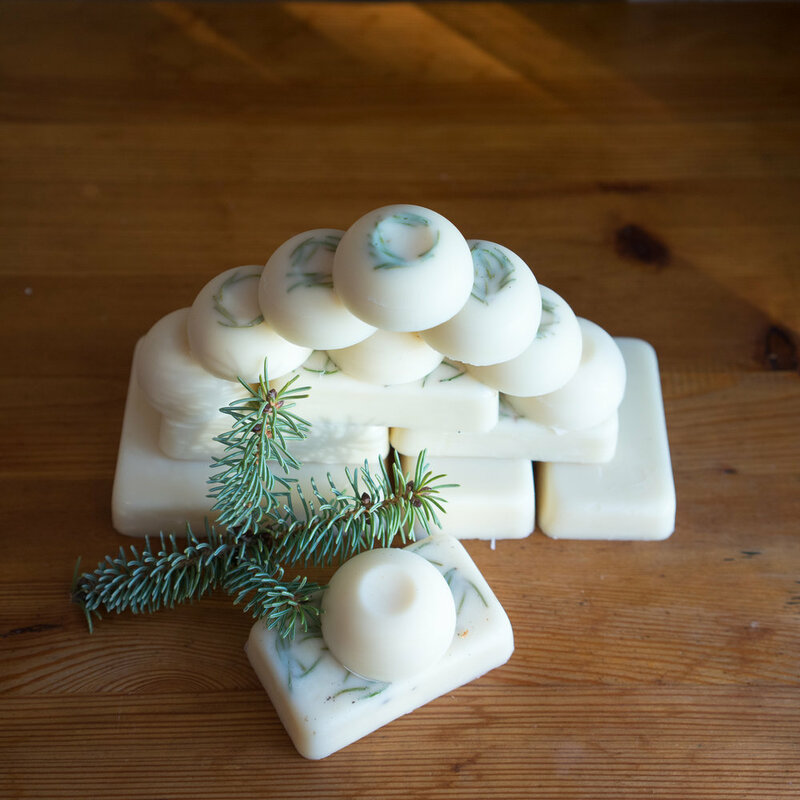 Christel also produces tallow products like soap, candles and balms. Christel naturally dyes some of their white yarn using flowers and plants that she grows in her garden and forages for on their property.